They had a family of 8 children: William Walter (Murray) Clarke 1903 – 1966; Matilda May (Tilly) Griffin (born Clarke) 1904 – 1995; Ray Lancelot Clarke 1908 – 1972, Herbert Olave (Ollie) Clarke 1910 – 1978; Lawrence (Laurie) Clarke 1916 – 1983; Florence Dorothy Clarkson (born Clarke) 1918 – 1999; Joyce Melva Cotterrell (born Clarke) 1926 – 2001. 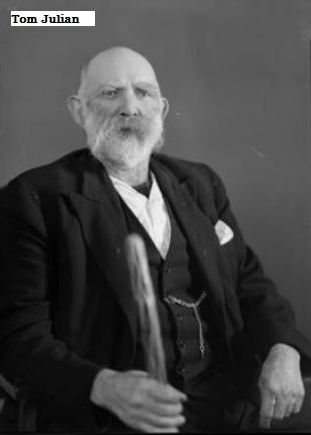 Tilly's paternal grandfather was Walter Henry Clarke born in England 1844 arriving at New Zealand in 1863 where he served in the Taranaki Military Settlers. After his term ended in 1868 he settled on his Military grant of land on the Timaru road at Tataraimaka. 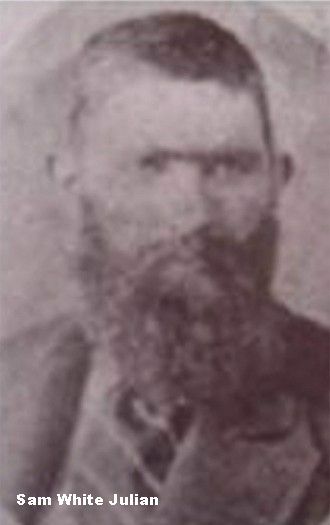 He married Jane Bland at New Plymouth on 25 Aug 1875. His children attended the Tataraimaka school: Elizabeth Jane Clarke 1870 - ? 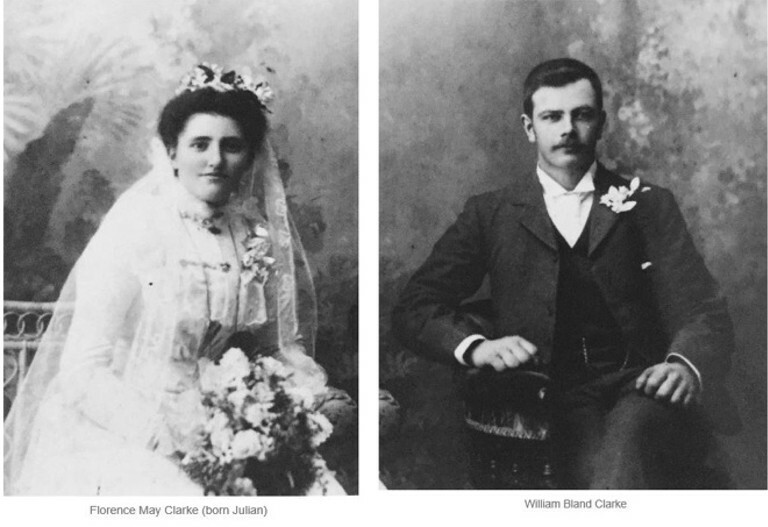 ; William Bland Clarke 1876 – 1959; Herbert Henry George Clarke 1881 – 1966; Walter Henry Clarke 1872 – 1943; Hester Catherine Clarke 1878 - ? ; Samuel Clarke 1877 -? ; John Thomas Clarke 1874 ? Walter met with an accident about 1890 which caused a serious injury to the spine and he became blind and was later on bed ridden. He went to live with his daughter (Mrs W. Harvey, of Pungarehu) about 1904 and it was here he passed quietly away at the age of 67 years. The deceased leaves four sons and two daughters to mourn their loss, and to whom we extend our sympathy in their bereavement. 7 June 1910: DEATH.CLARKE: At the residence of W. Harvey, Pungarehu, Walter Henry Clarke, aged 60 years. The funeral of the late Walter Henry Clarke will leave the residence of his son-in-law, Pungarahu, on THURSDAY, the 9th inst., at 11 a.m., for the Tataraimaka Cemetery, arriving there at about 2 p.m. Friends will kindly accept this intimation. JAMES LOVERIDGE, Undertaker. Tilly's maternal grandfather, Thomas (Tom) Julian was born 1855, the third of 15 children born to father Samuel White Julian. Because of his fluency in Maori, Tom worked as an interpreter for the surveyor, F. A. Carrington . 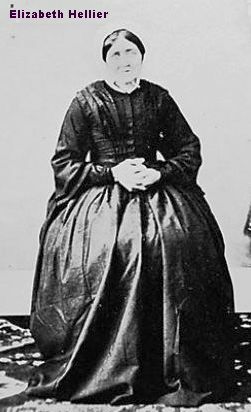 In 1875 he mar: Matilda Foreman at New Plymouth (dau. of Richard White and Matilda Foreman.) Their children were: William Henry Julian 1876 – 1946; Richard Foreman Julian 1879 – 1888; Florence May Clarke (born Julian) 1883 – 1949; Edward Olive Julian 1887 – 1918; Stillborn Julian 1875 – 1875; George Ernest Julian 1878 – 1940; Thomas Richard Julian 1879 – 1942; Samuel White Julian 1885 – 1966; Ray Julian 1890 – 1951. Tom was a dairy farmer and moved his family from the 50 acre block they farmed in Tataraimaka to Wirea Road in 1880 where he bought 129 acres for £10 per acrea. The area's first factory a Crown Dairy Company branch, opened in 1892. It was built on the site of Gray's flax mill to make use of the existing water-wheel to drive the machinery. The Crown building was bought by the Warea Co-operative in 1896 and the present concrete factory (now closed) was built in 1933 after the old wooden one was destroyed by fire. Tom regularly contributed toward community activities - he was the sexton, provided squeeze-box music at local dances and helped build the first Warea Hall. He also owned a reliable team of bullocks that transported timber for the hall from Ducker's mill at the top of Newall Road and brought ashore sections of the Cape Egmont Lighthouse. Tom's oldest son, William Henry Julian, continued the tradition by operating cartage and roading services in the area until 1918. Tom's second son George Ernest became a director of the Warea Co-op Dairy Factory and along with brothers Percy and Ray, played rugby for the Warea Football Club. Tom lived with youngest son Ray after his wife Matilda died in 1921. Tilly's maternal gt-grandfather, Samuel White Julian was born 1824 Mawgan in Meneage, Cornwall to parents Richard Julian and Elizabeth nee White. In the "Blenheim" logbook, Samuel is listed as a blacksmith when he sailed with his family from Plymouth 2 Jul 1842 - they arrived at New Plymouth Nov 19, 1842. He worked as an agricultural labourer, and worked as a conctractor on the main road through Stratford. In 1860, Elizabeth and the children were evacuated for safety to Nelson where they received rations and after the war in 1867, Samuel, a soldier, was granted, a land grant on Koru Road. TARANAKI HERALD, 26 JANUARY 1895 - INQUEST AT KORU.An inquest concerning the death of Samuel White Julian, who shot himself last Thursday, was held at 2 o'clock on Friday, at the deceased's residence at Koru. Captain Mace, J.P., was acting Coroner, Mrs Julian, the wife of the deceased, stated that about 12.30 p.m. on Thursday she last saw her husband alive. This was just after dinner. Deceased made a statement that if anything happened she was to send for her son Tom, and if anything happened they were to get a certain resident at Oakura to make his coffin. She asked him what was likely to happen, \and he replied, " Never mind, things are likely to happen." Her husband then went away to his bedroom, which was his custom after dinner, and about five minutes after she heard the report of a gun. The sons, Frank and Edward, who were working a short distance away, were called, and they weut into the bedroom, and found deceased lying on his side with a gun placed between his legs. There was a string fastened to the trigger, and the other end was fastened to his big toe. There was a large wound on the right side of his head, where the charge of shot entered. Death must have been instantaneous. Her husband had been in tho habit of using expressions similar to those mentioned by her, and she therefore on this occasion took no particular notice. Her husband had been ailing for years, and had been lately under Dr Christie.< p align=left>Ellen Julian (daughter) and Frank and Edward Julian (sons) also gave evidence. Constable Lister gave formal evidence. The jury found a verdict that deceased shot himself while temporarily insane, caused by intense physical suffering. Tilly's maternal Gt-Gt-Grandfather, Richard Julian was b: 7 Jul 1793 in Mawgan, Helston, Cornwall son of Nicholas Julian (1764-1799) and mother Eleanor James (1766-1825). Richard married 28 Jan 1817 in Sithney Parish Church, Cornwall to Elizabeth White (born 1792 St Keverne, Cornwall, died 1873 in New Plymouth) - her parents were Thomas White and Elizabeth Skewes. In Census records, they resided from 1817 to 1841 at Arms House Hill, Helston, Cornwall. The family emigrated to New Zealand on the “Blenheim”, sailing from Plymouth 2/7/1842 and arriving at New Plymouth 19/11/1842. The town was evacuated during the war years , Mr and Mrs R Julian sailed on the SS Airedale to Nelson Sep 1 1860. Taranaki Herald; 12 Jul 1873; Death of Mrs Julian, widow of the late Mr Richard Julian of Omata, at the advanced age of 80Y. Mrs Julian has brought up a very large family, and had lived to see her G=great-grandchildren close upon their teens. Her descendants are very numerous at Omata, as most of her children and grandchildren have very large families. By the death of Mrs Julian, another of the pioneer settlers has passed from among us.